The Dublin Medico-Philosophical Society was a small, self-funded, and self-selecting improvement society, which met on a bi-monthly basis at the homes of its members, to present and discuss medical and scientific papers on new and improving subjects. The society was a band of virtuosi, a talented and influential group of, mainly, though not exclusively, physicians, surgeons and apothecaries. Its members adhered to Baconian practical learning and wanted to employ Bacon’s empirical and experimental method to advance practical knowledge for the improvement of Ireland. These men had encountered the ideas and practices of the Enlightenment during their education in Enlightened capitals, such as Leiden and Edinburgh. Its membership included John Rutty, George Cleghorn, Charles Smith, David MacBride, and several other distinguished medics. Many of its members were educated at Trinity College Dublin and were elected as professors of the university. In addition, a number served as president of the King and Queen’s College of Physicians in Ireland and the Royal College of Surgeons in Ireland. Its members were privileged to hold hospital posts, which provided them with valuable opportunities for the mass observation and treatment of sickness and disease. The Dublin Medico-Philosophical Society was modelled on the Royal Society and papers read during meetings emulated the style of the Philosophical Transactions and other famous publications, which stressed the limited value of words, theories, and hypotheses. The Society was a sphere of intellectual sociability and a place where like-minded individuals could meet on a regular basis to share their expertise, discuss problematic or uncommon cases, and communicate new theories from Ireland and the wider world. Correspondence was crucial to the Society as it connected it to a cosmopolitan republic of scholars which kept them informed about medical and scientific developments in the rest of the world. Members also gathered knowledge from newspapers, journals, and significant works on medicine, science, and other improving subjects. However, the Society not only collected knowledge, it also disseminated it via letters, articles, and books. Its members made valuable contributions to famous publications, such as the Philosophical Transactions and the Medical Observations and Inquiries and were authors of important works on science, medicine, and natural history. The Society was home to an Irish medical and scientific Republic of Letters and a site of Enlightenment in Ireland. 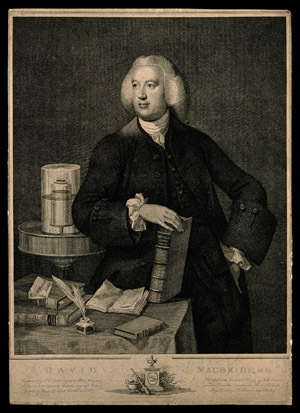 The metadata for the correspondence of the Dublin Medico-Philosophical Society (1756–1784) was supplied to EMLO by Rachael Scally, DPhil candidate in History, at Christ Church College, Oxford. The data was gathered as part of Rachael’s DPhil project, which examines Irish Medics and the Republic of Letters in the long eighteenth century. 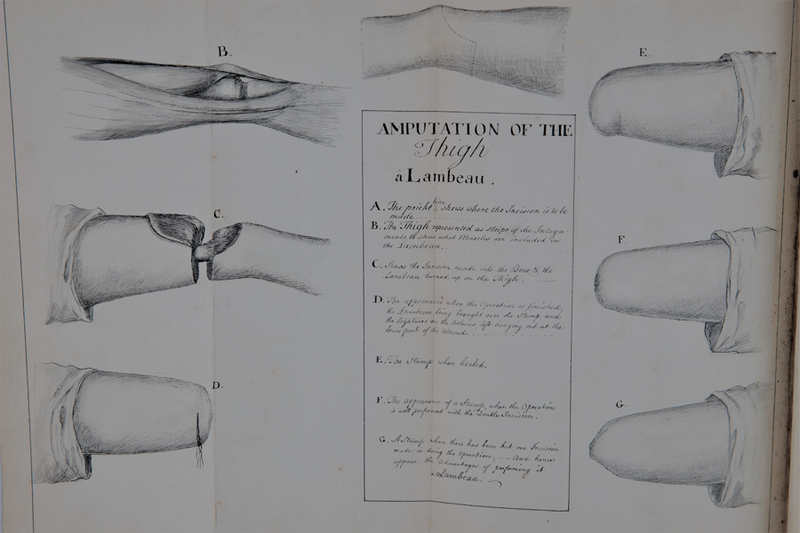 The project is supervised by Professor Laurence Brockliss and is generously sponsored by the AHRC, the Robert Boyle Foundation, and the Royal College of Surgeons in Ireland. Thanks are extended to Harriet Wheelock, Keeper of Collections and manager of the Heritage Centre at the Royal College of Physicians in Ireland and to all the staff of the Royal Irish Academy Library. The catalogue contains records for fifty-two letters, all written in English, which date between 1742 and circa 1782. They show the correspondence networks of the Dublin Medico-Philosophical Society and several of its prominent members. Correspondents include the famous physician, anatomist, and man-midwife, William Hunter, FRS (1718–1783), Sir John Pringle, FRS (1707–1782), military physician and epidemiologist, and Robert Whytt, FRS (1714–1766), physician and natural philosopher. The letters contain a wealth of information and news, largely of a medical nature, not just from within Ireland, Scotland, and England, but also from Europe and North America. They discuss diverse subjects, ranging from the effects of a small earthquake in Dublin, to new medicines and treatments, to methods of amputation and the success of using wort as a cure for sea-scurvy on Cooke’s ship the Resolution. The idea of using wort as a treatment for scurvy was first proposed by member David MacBride. The surviving correspondence of the Dublin Medico-Philosophical Society is preserved between two institutions. The metadata for thirty-two letters has been collected from the minute books of the Society, which are known as the ‘Medical and Philosophical Memoirs’ and are preserved at the Royal College of Physicians of Ireland (MPS 3 vols). In many cases the letters have been copied in full into the minutes, although several others survive as extracts. Other letters are mentioned in the minutes for which no significant date exists. There are three volumes of memoirs and these span the life of the Society (1756–1784). The memoirs record the meetings of the Society and are filled with fascinating insights into the medical and scientific world of the eighteenth-century. They also contain some beautiful and unique illustrations. The Metadata for the remaining fifteen letters comes from the Society’s repository, which is preserved at the Royal Irish Academy (MS,24.E.5-6). The letters appear to be mainly copies. The repository is a collection of the Society’s 232 papers and likewise is a trove of information. Barnard, Toby, ‘The Wider Cultures of Eighteenth-Century Irish Doctors’, in James Kelly and Fiona Clark, eds, Ireland and Medicine in the Seventeenth and Eighteenth Centuries (Farnham: Ashgate, 2010). Kelly, James and Martyn J. Powell, eds, Clubs and Societies in Eighteenth-Century Ireland (Dublin: Four Courts Press, 2010). Scally, Rachael, ‘Enlightenment and the Republic of Letters at the Dublin Medico-Philosophical Society, 1756–1784’, University of Dublin, Trinity College, Journal of Postgraduate Research, 14, (2015), pp. 156–78.